Rainbow Lobophyllia (possibly Lobophyllia hataii) ultra-macro revealing the surface details. 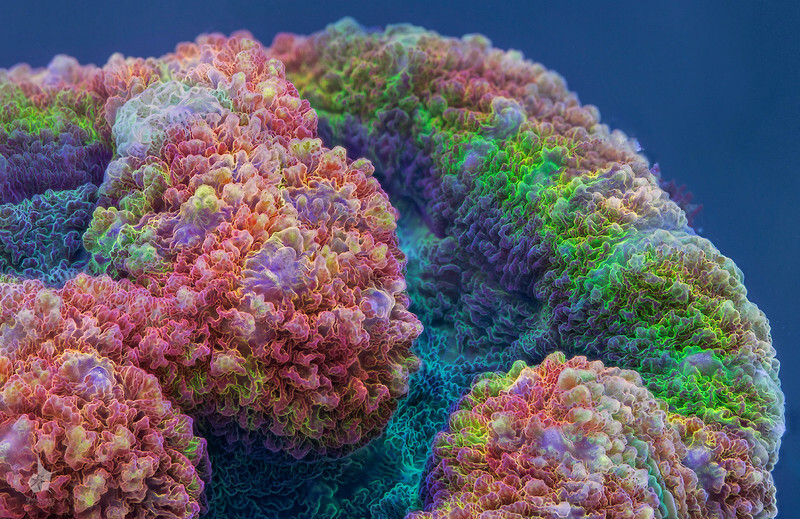 The coral increases its surface area by means of forming these colorful structures. Only a 3d image can give an idea of the shape of this coral and what you actually see on the picture. Rocking image with reduced quality. Doesn't require 3d screen. Side-by-side stereo image for those who are comfortable with eye-crossing.